We had hired a Mahindra Scorpio from Haldwani, and the driver was a young lad named Chandra Prakash. On the long journey, we had to stop at a number of places for food, and I noticed that Chandu was a food lover, and his choices for roadside pit stops were immaculate. Over some hot aloo paratha and dahi during breakfast Chandu told me about Chachiji’s Mutton Curry, very popular at Munsiyari with both travelers and drivers. He told me that the mutton curry was prepared with khade masala or whole spices in typical Kumaoni style. After an overnight stay at Chaukori and a rough journey, we reached Munsiyari around noon on the second day. We were famished and I told Chandu to take us straight to Chachiji’s place to try out her mutton. A small and dark place next to Munsiyari Bus Stand, it had three tables, and could barely seat twelve people. 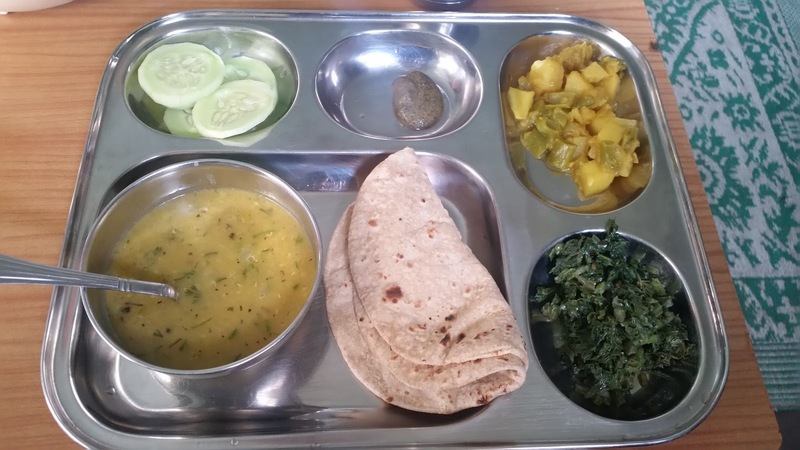 Soon we were served a hot thali of rice with a bowl of mutton curry and a little bit of local saag. 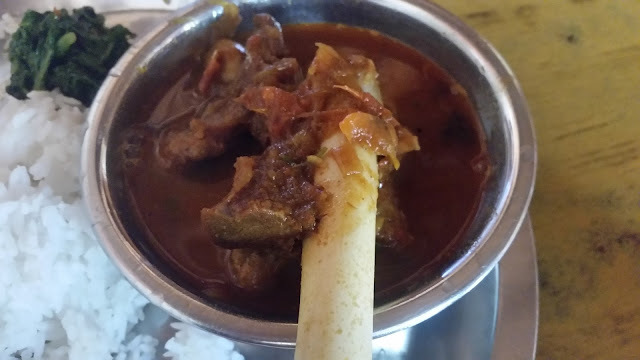 A runny gravy (they call it soup here), the curry here had simple flavours of turmeric, chillies, garlic and the mustard oil in which it was prepared, and the lamb pieces were slightly tougher than we normally like in the plains. 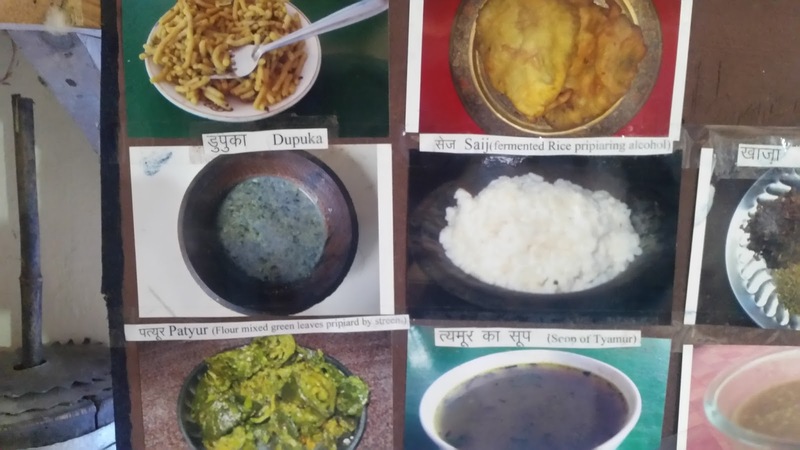 We were told that Kumaon boasts of some flavourful local turmeric which gives a special taste to the curry here. The side dish of leafy vegetables also had a rustic aroma from the mustard oil. The entire meal with ample mutton cost us Rs 110 per head, and we made up our mind to come back for some more food here. 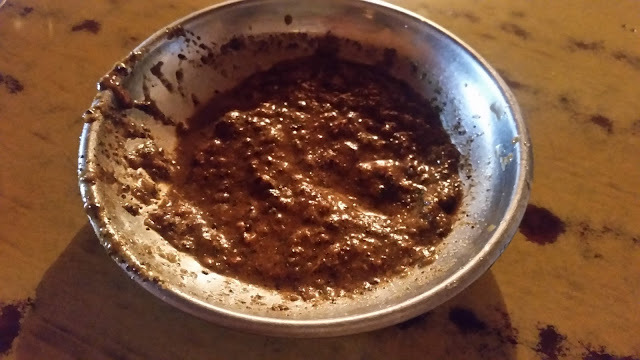 A friend back in Hyderabad had told us that Bhang Ki Chutney is a must-have dish in Kumaon. 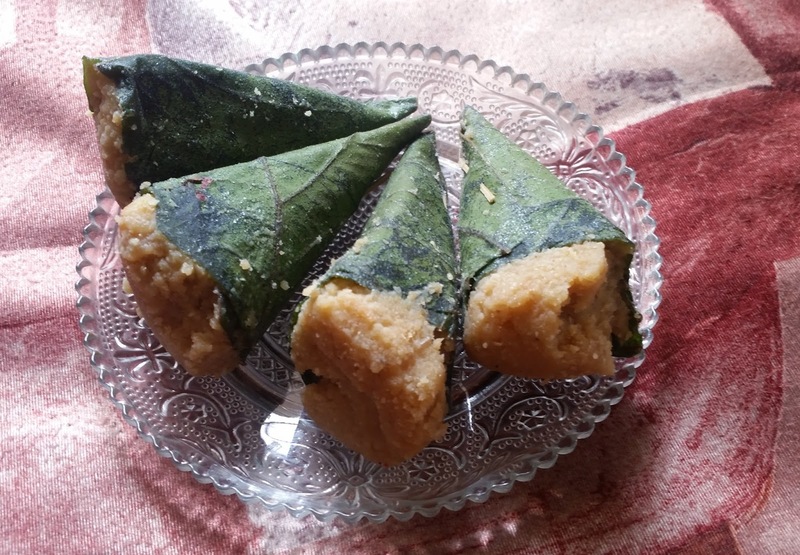 I asked Chachiji about this and she agreed to prepare it the next day. Next afternoon along with lunch, we tried the Bhang ki Chutney with rice and some onion. The chutney is made by roasting the seeds of the hemp plant, crushing it and then preparing a thick paste with onions, coriander leaves, green chillies and a dash of lime. The chutney had an earthy taste, and I was told that this was a food for cold climates as it heated up the body. In the evening, we visited the local Tribal Heritage Museum, a collection painstakingly assembled by Dr. S S Pangtey, an erudite person with deep knowledge about history of Kumaon. There was a section in the museum about Kumaoni food with photos of Kumaoni delicacies like Dubka, Madua Ke Roti, and Thathani. 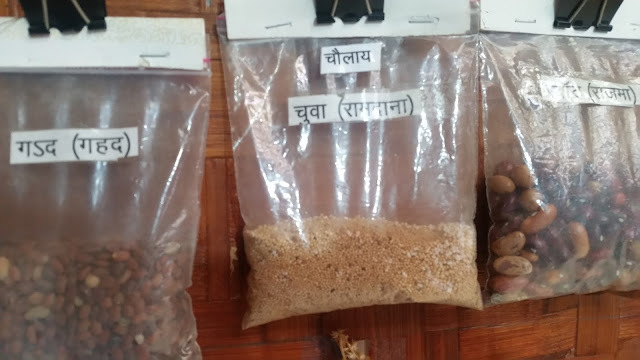 We had a discussion with Masterji (as Dr. Pangtey is known locally), and he explained that rice is the staple carb in the Kumaon belt though roti prepared from gehu (wheat) or mandua (ragi) is fairly popular too. Potatoes and soybeans are popular vegetarian dishes cooked with local herbs. 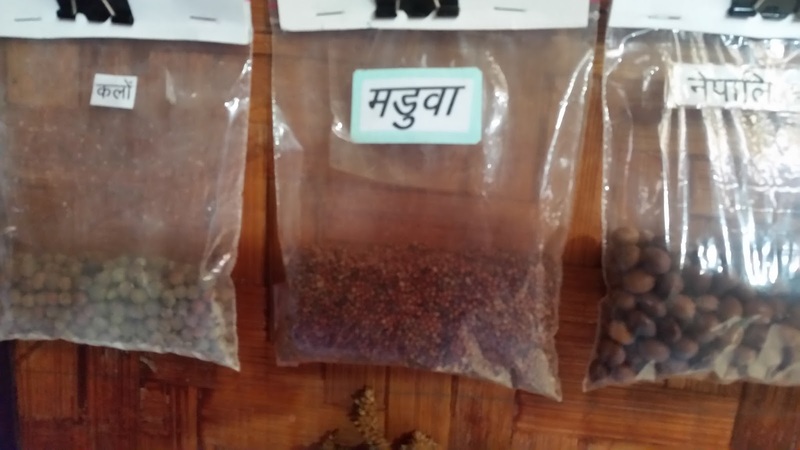 Gahat and Bhatt are local beans which are used to prepare a lot of dishes like Churkhani or Dubke. 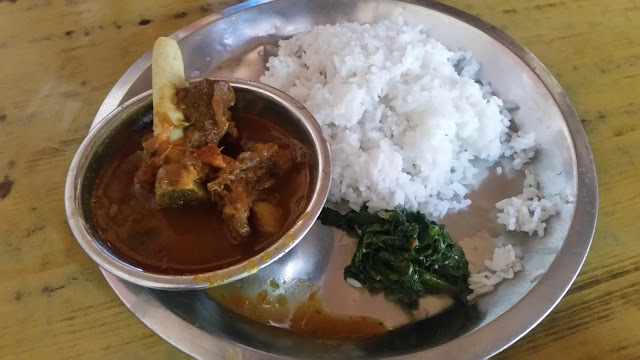 As there is a lot of cattle grazing in the area, mutton is by far the most popular meat, usually cooked in whole spices and local herbs. When I told him that I was curious to try the local cuisine, and he gave me the phone number of Mallika Virdi. Mallika works with the villagers around Munsiyari and helps them to run a cluster of homestays in and around the town. She was very receptive to my idea of trying out Kumaoni cuisine and arranged a meal in one of the homestays. 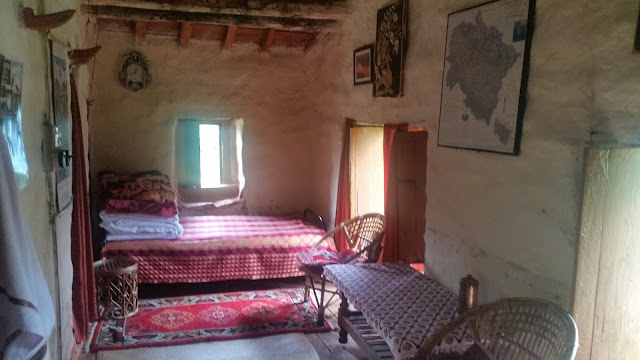 We traveled to Malla Sarmoli, a village near Munsiyari to visit the house of Kheela Tolia. 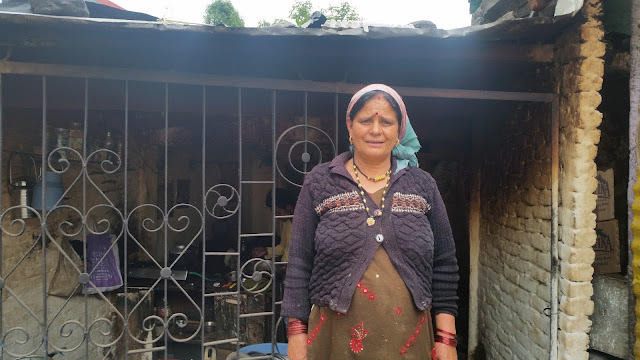 Kheela along with her husband has rooms in her Kumaoni home converted into a homestay. The rooms are available at Rs 1000 per day and the guests can enjoy Pahadi hospitality with local Bhutia meals. However, since we had put up in a hotel in Munsiyari, we just visited them for lunch. The lunch was a simple affair with few items, but each of the preparations was food for the soul. There was Malka dal (masoor) served with a tadka of jeera and a local dried herb called Jimbu. 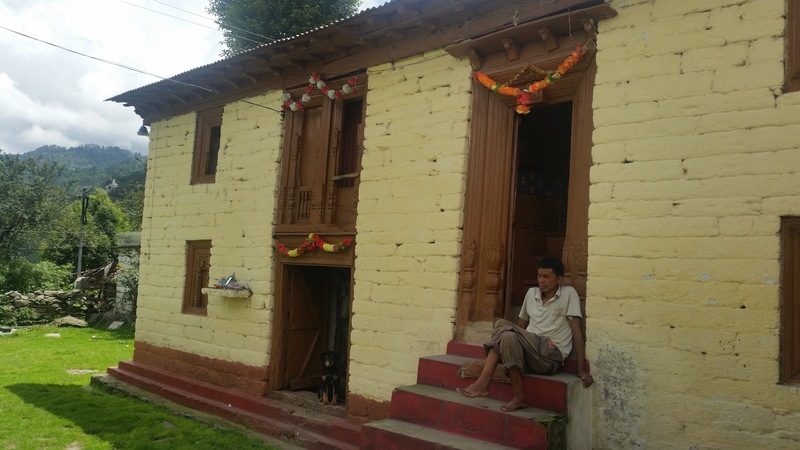 Jimbu is only grown in the hilly tracts of Uttarakhand and Nepal, and this house had a small garden where it was cultivated. It has a distinctive flavour akin to garlic. The vegetables served were Rai Ki Sabji a preparation of mustard leaves with salt and green chillies. There was a potato preparation with beans and of course Bhang Ki Chutney. We were told that this version of the chutney uses mint apart from the other usual ingredients. The staples served were rice and gehu ki roti. 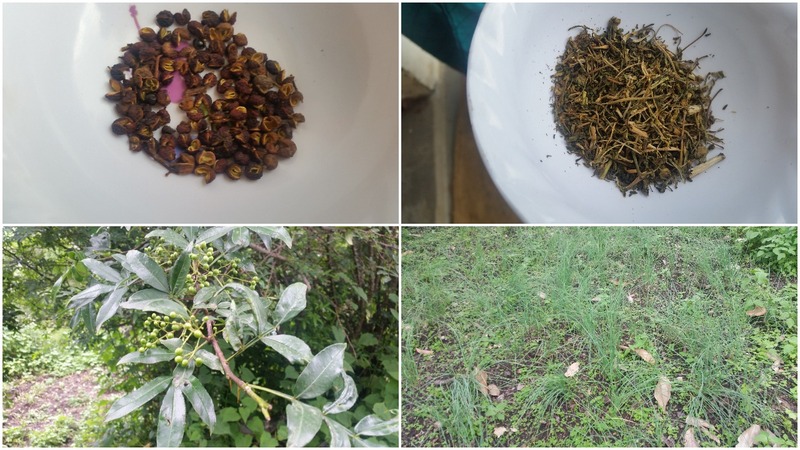 The garden of this homestay also cultivated Tyamur, a local peppercorn. With a lot of medicinal qualities, this is used to prepare Tyamur Ki Soup, which is another mainstay for the winter. After the delightful lunch, we had a quick primer on some local spices and herbs before saying goodbye to the family. Any cuisine in India has its favorite sweets. The most famous preparation in Kumaon is Singodi, a mewa based sweet wrapped in local leaves. It tasted somewhat like Kalakand to me. Bal Mithai, another milk based sweet coated with tiny sugar balls is another popular mithai in this belt. Munsiyari is located in Pithoragarh district of Uttarakhand, a serene place with a spectacular view of the Himalayas. The earthy food here with uncommon spices played a perfect foil to the scenery, resulting in an unforgettable experience. 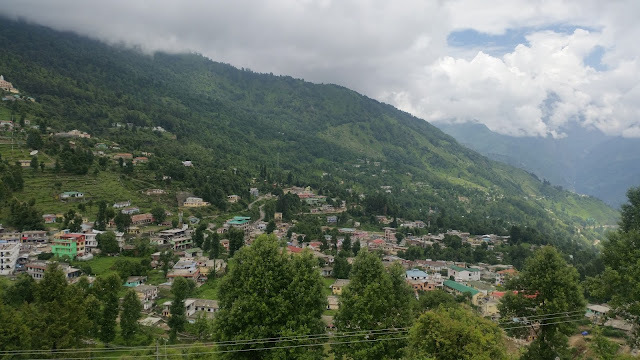 Munsiyari is around 300 km away from Haldwani and Nainital. 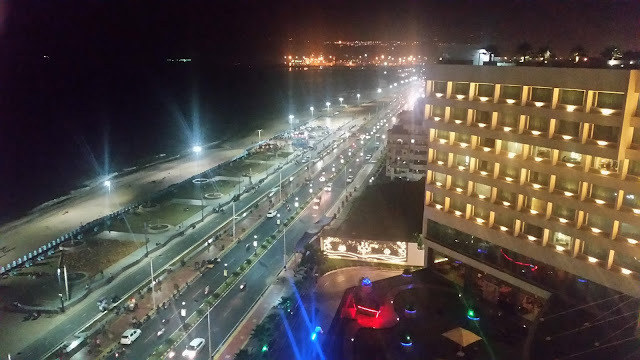 You can stay in Hotel Vijay Mount View (05961-222123) where you can get a fantastic view of the peaks from your room. The phone number of our driver Chandu is 9761935850. For Kumaoni homestays or food, you can contact Mallika Virdi at 9411194041 or Kheela Tolia at 9568638795. Chachiji’s Mutton Curry is available in her small single-room outlet at Munsiyari bus stand near Hayat Paradise Guest House.